NSW gift card reforms kick in March 31 – what else do you need to know? Home News NSW gift card reforms kick in March 31 – what else do you need to know? The NRA recently participated in a stakeholder session with the NSW Government, to clarify some of the ‘grey areas’ of the new legislation regarding the three-year minimum expiry dates on gift cards, which takes effect on March 31. Some of the issues raised are answered below, however, please treat this as a basic guideline – if you’re unsure of any component of this new legislation, please contact NRA Legal on 1800 RETAIL (738 245). Is the proposed transaction the sale of a gift card? A key component triggering the law is the sale of a gift card/voucher. Cards that are donated are not being sold and are not covered. Similarly, unsolicited discount vouchers handed out on the street are not being sold to the recipient. Is the transaction a sale to a consumer in NSW of a gift card that is redeemable for goods or services in NSW? The definition of “consumer” has been drawn from the Australian Consumer Law (ACL) – this includes the sale of gift cards/vouchers to a business in some circumstances but not if they are sold for the purpose of resupply, among other specified purposes (ACL, section 3). If the answer to questions 1 and 2 is ‘yes’, then is there an applicable exemption? Some of the categories of exemption in the Regulation are a full carve-out of products that would otherwise be caught by the minimum expiry period requirement, and others have been included as clarification for the avoidance of doubt (e.g. where points are redeemed for a gift card through a customer loyalty program). Queries were raised about business to business (B2B) transactions where a business (Company A) is not supplying gift cards directly to a ‘consumer’ as defined in the ACL because the purchaser (Company B) has indicated that they intend to resupply the gift cards to other businesses in the supply chain or sell the cards directly to consumers. The queries were about Company A’s obligation to issue the gift card with a three-year expiry date. Firstly, if Company A (e.g. a department store) is the business in whose name the card has been issued, then Company A will have to honour the gift card due to the voiding provisions in the law even if Company B (e.g. a supermarket selling third party gift cards) sells the card to a consumer in contravention of the law. It is therefore in the best interest of all parties to work together to clarify the intention of the B2B purchase, where practicable, with a view to the consumer (the end purchaser of the gift card) receiving a compliant card. Secondly, the answer in relation to B2B transactions is not entirely clear-cut, and depends on several factors. In many cases a B2B transaction will be excluded from these reforms due to the definition of ‘consumer’ in the ACL – as long as Company B has held itself out as acquiring the gift cards for the purpose of re-supply. However, if Company B is not excluded from the definition of consumer under the ACL on these grounds, then the transaction could be subject to these laws. If Company A is unsure of the purpose for Company B’s purchase of the gift cards, then it is better to assume that the transaction does require the gift card(s) to have a minimum three-year expiry date (unless there is a known applicable statutory exemption under the Regulation). Example 1: Wholesale supply of a bulk lot of gift cards sold from Company A to Company B for the purposes of resupply to consumers in a subsequent transaction (that is not exempt under the Regulation). The transaction from Company A to Company B will generally not require a three-year expiry date. However, at the point of sale to the consumer the cards must have a three-year expiry date. If the cards are sold in breach of this requirement, Company A may still be liable to honour the gift cards under the voiding provisions for up to three years. Example 2: A business decides one year to buy gift cards from a store to give to employees at Christmas as presents. In this situation, the gift card should have a three-year expiry date as the business would be considered a consumer for the purposes of the law. Because the business is purchasing the cards to give to employees as an ‘ad hoc’ initiative, it is unlikely to fall within the definition of an employee reward program in the Regulation. Example 3: A manufacturer sells gift cards to a retail store for the purpose of on-selling to consumers. The transaction between the manufacturer and retail store would not be covered by these reforms. However, the retail store’s sales of the gift cards to consumers would be covered by the reforms. At point of sale to the consumer, the cards must have a three-year expiry date. A question was raised about vouchers and gift cards supplied to a consumer in settlement of an insurance claim. For example, if a camera is lost the insurance company provides a gift card to the value of the claim settlement amount. It appears that there is no sale of a gift card to a consumer in this situation and therefore the law would not apply to the scenario. A question was raised about movie vouchers being sold in lots of 10 at a discount. The question was whether the movie voucher pack is likely to be a specific service offered for a discount under the exemption. It is not the intention of the reforms that any gift card or voucher that can be used for multiple purposes and is sold at a discount is exempt from the law. In the example of the five hot laps in the sports car a specific service was mentioned, being the five laps in the sports car – one should assume that the business offers several similar services, for example hot laps in a sports car of between five, ten, 15 and 20 laps, or hot laps in a Mini between five and 20 laps. In this example, the five laps in a sports car does constitute a specific service. In the case of movie vouchers, we do not hold the view that movies are a specific service offered by the business. A movie voucher that could be used for any movie is not excluded and would need a three-year expiry date. However, we could see a scenario where a specific package such as ‘a specific movie in gold class, plus a cheese board, at a 20% discount’ could fall within the exemption. It is not the intention that general gift cards that are sold at a discount are excluded. A question was raised about whether a fee for a replacement card was considered an administration fee. As the replacement card has not been sold to the consumer, the replacement fee is unlikely to be covered by the ban on post-purchase administration fees. Best practice would be for the terms and conditions covering the sale of the original card to state whether a consumer is entitled to a replacement card if the original card is lost or stolen and if a fee would be charged. A question was raised regarding the potential for consumers to use gift cards to purchase other gift cards. 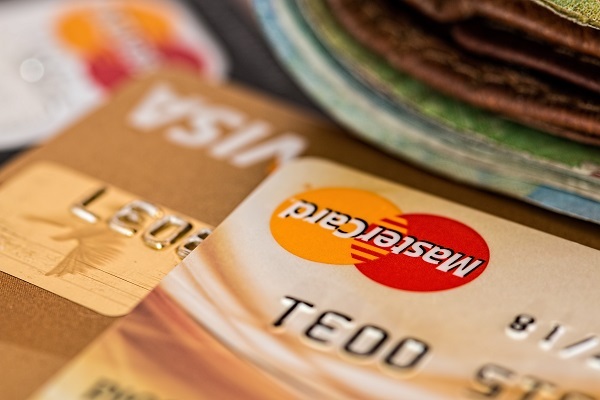 The NSW Government’s view is that transaction is a sale that would be captured by the reforms and the purchased card should have a three-year expiry date, even if the card used to purchase the second card has an expiry period of less than three years. The store has elected to accept the first gift card as tender in the transaction in lieu of cash, similar to where businesses choose to allow cryptocurrency to be used to purchase goods and services. For further information, please refer to the NSW Fair Trading website at http://www.fairtrading.nsw.gov.au/ and please contact NRA Legal on 1800 RETAIL (738 245).